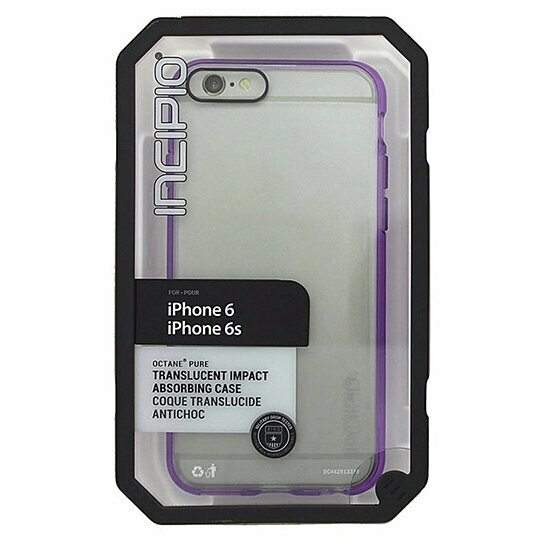 Incipio products, Octane Pure Series, Hybrid Case for Apple iPhone 6 and iPhone 6s (4.7" inch). Transparent Clear hardshell finish with shock absorbing Purple border. Military drop tested. Scratch resistant finish. Hybrid Design.